Montana Law Enforcement Officers and their friends have hit the streets, highways and byways of Montana. In addition to fulfilling their duties of enforcing speed limits, maintaining order and keeping our state safe, they are fulfilling another type of duty. They are carrying the torch for Special Olympics Montana. Hundreds will carry the Flame of Hope 2,000 miles to the State Summer Games Opening Ceremonies in Billings. The arrival of the Torch Run on Tuesday May 13th, 2014 and the Final Leg and lighting of the cauldron on Wednesday May 14th, 2014 will officially begin the games. The Torch Run has made stops in numerous towns throughout the state including Scobey, Medicine Lake, Kalispell, Billings, Glasgow, Malta, Butte, Boulder, Anaconda, Cut Bank, Havre and Lewistown. The torch will be arriving in Bozeman on Saturday May 10th, 2014. Several law enforcement agencies are participating in the run into Bozeman including the Gallatin County Sheriff’s Office, Gallatin County Detention Center, Bozeman PD, Belgrade PD, Three Forks PD, Montana Highway Patrol. The Torch Run in Montana began in 1985. Each year, local Montana Law Enforcement Officers raise several thousand dollars for Special Olympics Montana athletes. In 2008, the Montana LETR raised over $350,000 for local athletes and was awarded 4th highest per capita in the world. 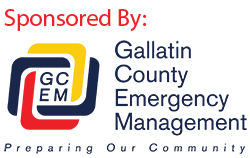 Please join us and cheer on our runners and bicyclists this year as we welcome the Torch Run to Gallatin County on Saturday May 10th, 2014.